is mid-Missouri’s NPR-member station. Students produce stories with audio, video and text for the website while also producing traditional radio newscasts and long-form stories. The station is owned by the University of Missouri and is one of the most successful public radio stations in the nation. For more information, visit the KBIA website. 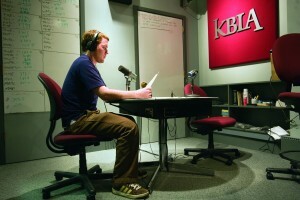 Radio-television and convergence journalism students cover events, write stories and air newscasts on KBIA. Students work under the direction of faculty and staff members who also work alongside students as professional broadcasters. KBIA carries programming from NPR, Public Radio International and other providers. The station serves a 70-mile listening area, which includes more than 40,000 listeners in 14 counties.